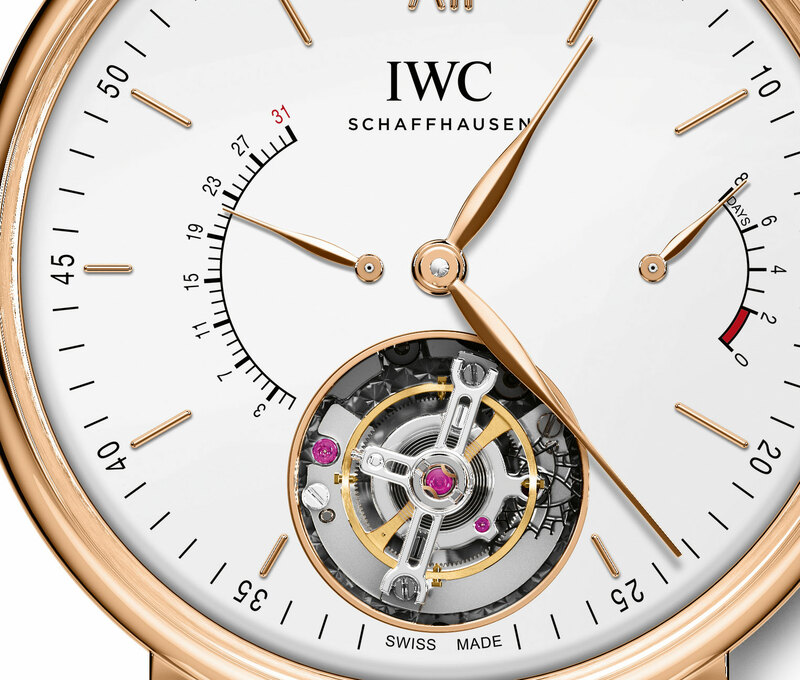 The Portofino line is mostly made up of simple, affordable watches, but IWC just made it a bit fancier with the addition of the Portofino Hand-Wound Tourbillon Rétrograde, the very first tourbillon in the collection named after the Italian resort town. A large 45mm in diameter and available only in 18k red gold, the tourbillon is powered by the cal. 59900. Related to the cal. 89900 found inside the Da Vinci Tourbillon Retrograde Chronograph launched earlier this year, the new calibre is hand-wound movement with an eight-day power reserve, thanks to an extremely large barrel visible through the display back. The bridges have been open-worked to reveal some of the mechanics, including the gear train and keyless works. 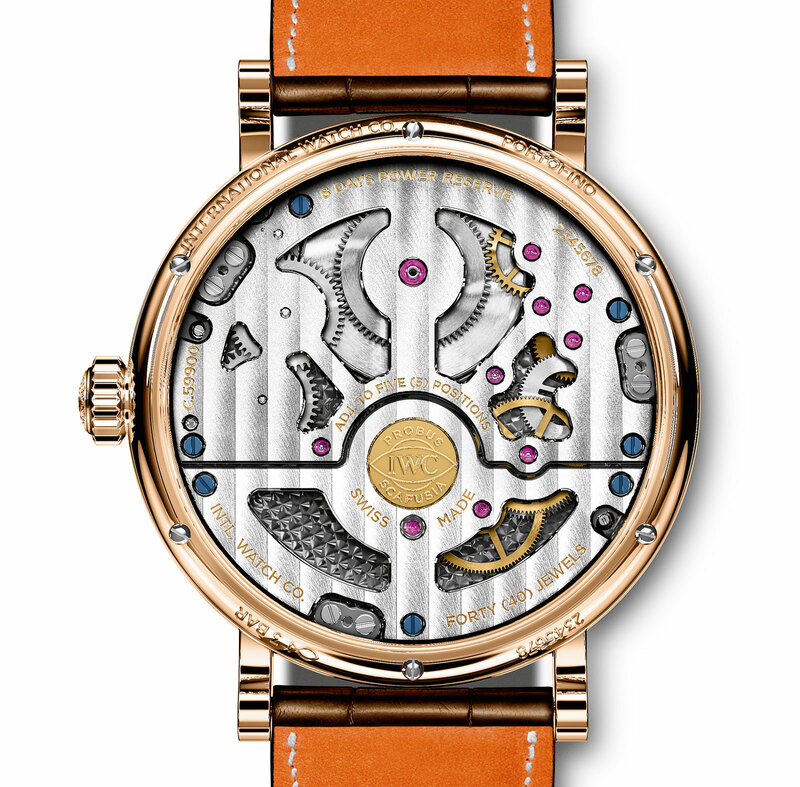 Just like the movement inside the more complex Da Vinci, this is equipped with an unusual hacking tourbillon. When the crown is pulled to set the time, a pair of levers stop the balance wheel, allowing for more precise time-setting. 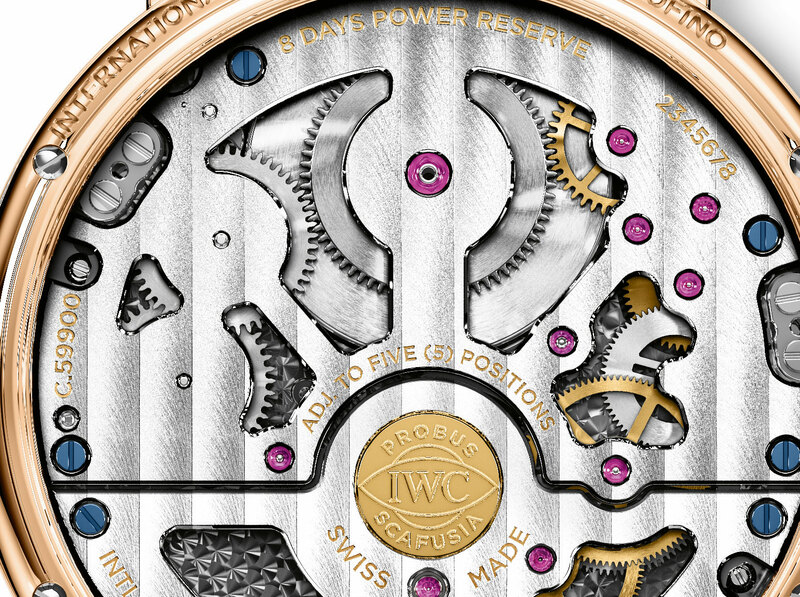 Having been invented by A. Lange & Söhne, the stop-second tourbillon is still a novelty for IWC. Additionally, the pallet fork and escape wheel are made of diamond-coated silicon (the diamond coating hardens the surface and reduces silicon’s sensitivity to temperature changes), significantly improving their efficiency by reducing friction and mass. The Portofino Hand-Wound Tourbillon Rétrograde (ref. IW516501) is priced at S$87,800 in Singapore, equivalent to about US$64,000. 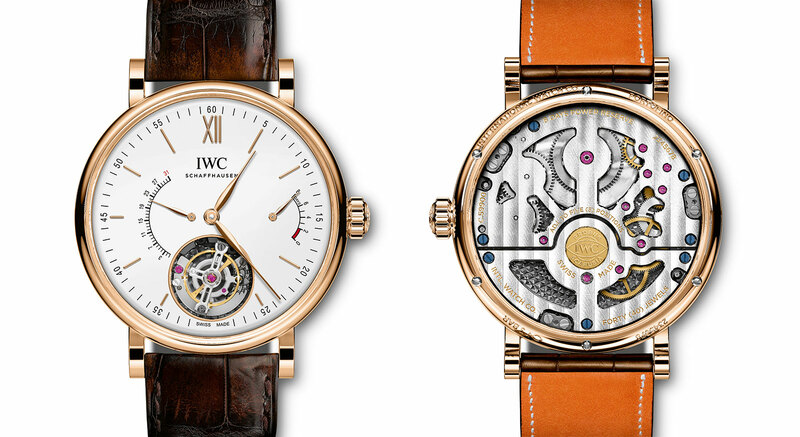 It’s available at IWC boutiques and retailers.